Piranha Bytes are a bit of a guilty pleasure of mine. The Gothic games are some of the more interesting RPG games I’ve had the pleasure of playing. This is particularly the case in their approach to storytelling and world development. The later Risen games continued this to great effect. However, both trilogies suffered from bugs and with Risen suffering from a very unapproachable combat system. While we have covered ELEX in the past, I was able to attend a presentation at Gamescom and see some brand new footage and hear some new information about the game. 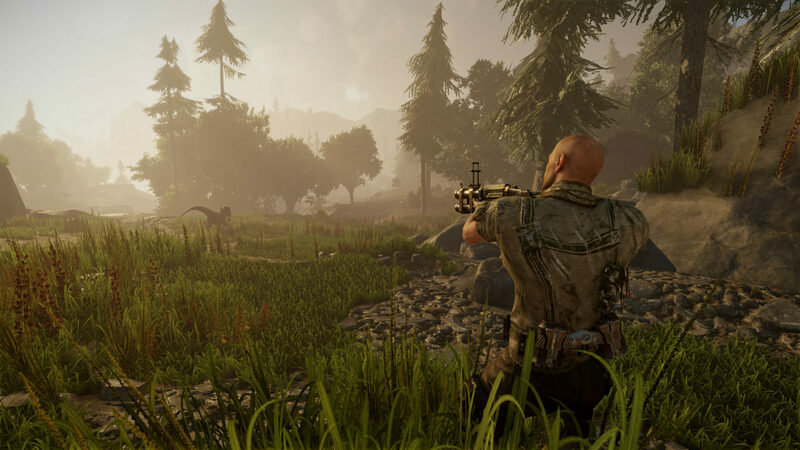 ELEX is set in a post-apocalyptic world where a meteor wiped out a huge portion of the population. However, the meteor also brought along a strange substance, Elex. This acts as a huge energy source that is used to power machinery, buildings, weapons and even the people themselves. Elex has a strange effect on people, giving them magical powers while also stripping them of all emotions. It can even have mutative effects, changing both people and animals into horrible monsters. The setting of ELEX certainly appeals, but in more ways than you would first imagine. Going with the post-apocalyptic and dangerous setting, Piranha Bytes want to make the game as open and adaptive as possible. By doing this, the developer at Gamescom indicated that anybody and everybody in the game can die. At any time one of the major quest givers could die. The game, then, should simply move the quests to a logical person and let the world reflect this. Only a select handful of characters are unkillable, this being for story reasons and to stop the game from breaking. A living game world is also aiming to be represented; it will be completely open, with no loading screens. NPC’s, companions and the three factions within the game will react to your actions in logical and understandable ways. Every character also has their own lives to live and memory. In doing this, the game allows the NPC’s to remember your actions and have the world adapt to this. You can become wanted within one of the cities and committing something as heinous as murder will result in a bounty being placed on your head. Bounty hunters will then track you down and attempt to kill you. What needs to be mentioned is that ELEX has a Jetpack. Yes, you heard me, a Jetpack. Although the world is large – I was told ‘many times larger than Risen’s world’ by the developer – and densely populated with collectables, quests and character, there’s no means of transport beyond your feet, teleporting to known locations and, of course, the Jetpack. 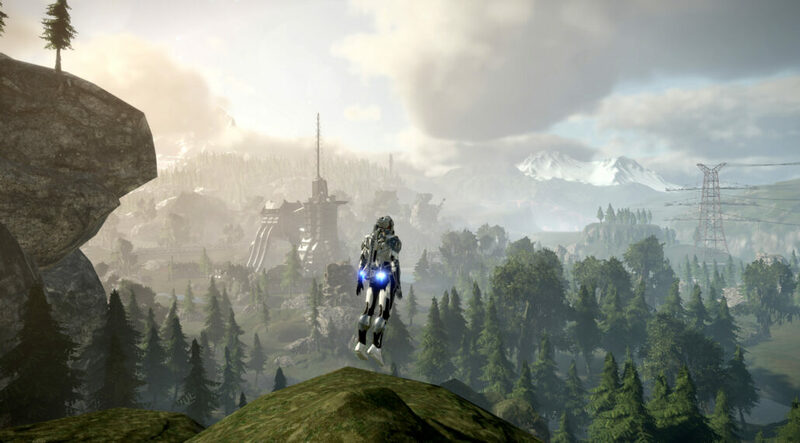 This should be a selling point in itself, because it has allowed the exploration that is said to be key to ELEX expand on a vertical scale as well as horizontal. Jetting onto roofs of buildings, high up to the top of mountains, wherever you can see, you may want to go. Also important is the role of the Jetpack in combat. ELEX is offering a huge variety in its combat system. Ranging from more traditional RPG fare like swords, bows and more, weapons that can also be imbibed with the magical qualities of Elex, you have both modern futuristic weapons like plasma rifles, grenades and even a chainsaw. What looks incredibly satisfying is equipping a sword, leaping a few stories high and then bringing the sword down right on an enemies head. Although clunky, the combat system looks very fun. During the presentation, I was shown a seventeen-minute video of gameplay footage that has now been uploaded onto YouTube and can be seen below. Now, I do have some concerns with the game. Of course, this is just pre-alpha footage so it’s highly likely that a large number of things will improve, but aesthetically there a few concerns. Although colorful, a number of textures seem very flat which certainly takes away from what could be a very impressive environment. At the same time, some animations look very clunky which does detract a little from what should be an incredibly fun combat system. ELEX has a lot of promise regardless. If Piranha Bytes achieve their aims, this could be their best game yet and the start of yet another trilogy. It’s not due to release until next year for the PC, Playstation 4, and Xbox One. This should give them a lot of time to improve on what they’ve already got. Did I also mention that it’s got a Jetpack?